Ankara, Turkey – Canada’s Senior Women National Team (SWNT) behind a complete team effort knocked-off fifth ranked Czech Republic 91-71 to advance to the quarter-finals of the 2014 FIBA World Championship for Woman behind held in Turkey. Paced by the leadership of National team veteran and team captain Kim Gaucher (Mission, B.C) as well as the fresh and energetic legs and skill-set of Nirra Fields (Montreal, Quebec) the Canadians took control of the game in the late stages of the first-quarter and never looked back, cruising to a 20-point victory and setting up a quarter-final tilt against tough undefeated Australia (3-0) team. Both teams opened the game focused and shooting a high percentage, with Canada leading 15-13 the Czech’s Republic Petra Kulichova was whistled for a foul on Katherine Plouffe and was assessed a technical foul in the process for arguing with the referee. Plouffe knocked 3-of-4 free-throws and scooped-up an offensive rebound for a layup and Gaucher drilled a jumper with 37 seconds left to finish the quarter on 7-0 run and 22-13 lead after the first-quarter. The Czech Republic trimmed the lead to 24-21 by taking advantage of their superior height with 8-2 a run to open the second-quarter, from there it was All-Canada as the crisp ball movement and unselfish play led to a 44-32 lead at half-time. Canada maintained a comfortable 10-point cushion for most of the second-half to reach the Final 8 of the World Championships. Gaucher found her shooting touch after a touch outing against France and finished with a game-high 17 points and seven rebounds on 6-0f-10 shooting. Fields came off the bench and contributed with 15 points and six rebounds. Katherine Plouffe continued here outstanding tournament with another solid effort with 13 points and four rebounds and Kia Nurse wrapped the double-digit scores for the Canadians with 12 points and 2 assists. Canada shot the ball extremely well finishing a healthy 34/63 (54%) from the floor, the Czech Republic connected on 36/57 (45.6%) of their shots. 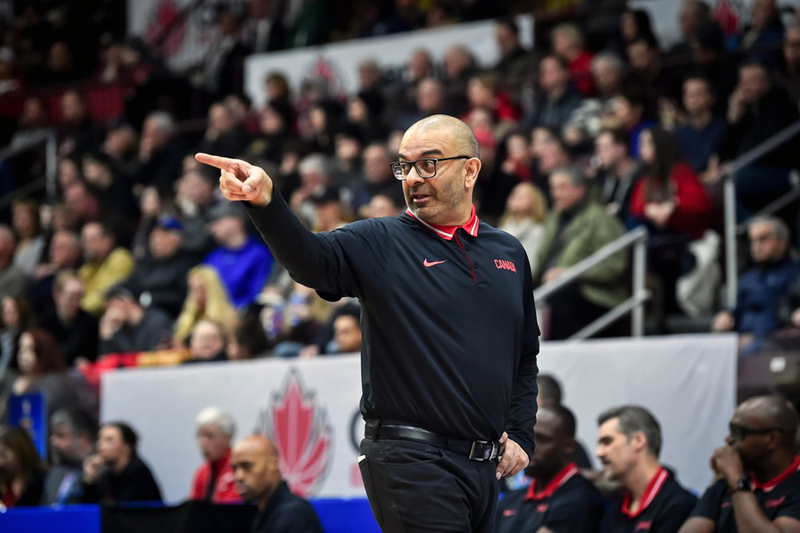 Canada shot a tournament best 22 free-throws, knocking down 19 of them, further emphasizing head coach Lisa Thomaidis committed to attack the rim rather than settle for long jump shots like they did in the group phase of the tournament. Canada (2-3) will now take Australia (3-0) in the quarter-finals for chance to reach their first-ever semi-finals of a FIBA World Championship. Australia has won the past three-meetings against Canada dating back to 1994, 72-47 (2010), 97-65 (2006) and 90-72 in 1994.